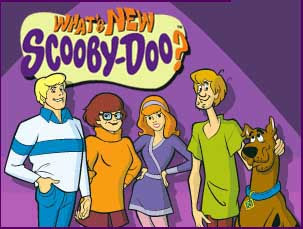 Yes, another incarnation of Scooby Doo will be added to Boomerang schedule in February of 2016. This version aired for 3 seasons, from 2002 until 2006 and 42 episodes were made during that time. The series will debut on February 22 and will air weekdays at 13.10, 15.55 & 22.00 CET. On weekends it will air at 13.40 and 19.55 CET, in double bill slots, replacing The New Scooby Doo Movies.